Coming to you live from my treadmill desk, I’ve got my near-infrared heat lamp on to keep stress levels low and energy high, in this presentation on The History of Red Light Therapy. This presentation is from my book Red Light Therapy: Miracle Medicine. 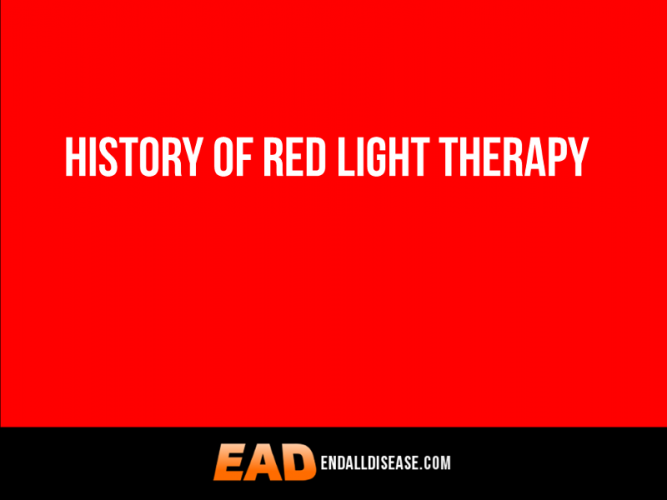 I’ll be reading to you a history of red light therapy to give you a broader understanding of where it came from, who discovered it and where we are at until present day. Since the dawn of time, the medicinal properties of light have been recognized and utilized for healing. Ancient Egyptians constructed solariums fitted with colored glass to harness specific colors of the visible spectrum to heal disease. It was the Egyptians who first recognize that if you color glass it will filter out all of the other wavelengths of the visible spectrum of light and give you a pure form of red light, which is 600-700 nanometer wavelength radiation. Early use by the Greeks and Romans emphasized the thermal effects of light. 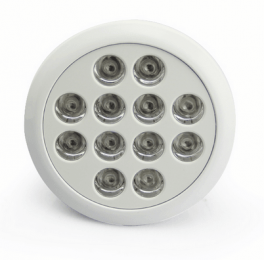 Modern solarium for full spectrum light therapy. In 1903, Neils Ryberg Finsen was awarded the Nobel Prize in medicine for successfully using ultraviolet light to successfully treat people with Tuberculosis. 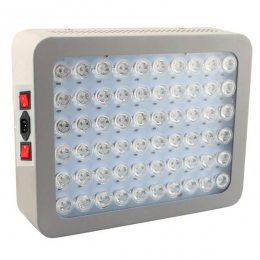 Today Finsen is recognized as the father of modern phototherapy. 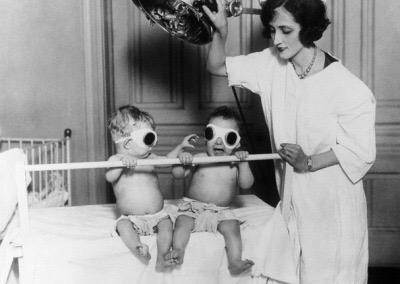 Ultraviolet light therapy treatment for rickets caused by vitamin D deficiency (1925). I want to show you a brochure I found. It’s from the early 1900s and on the front it reads ‘Enjoy the sun indoors with the homesun.’ It’s a British made product called the Vi-Tan ultraviolet home unit and it’s essentially an ultraviolet incandescent light bath box. 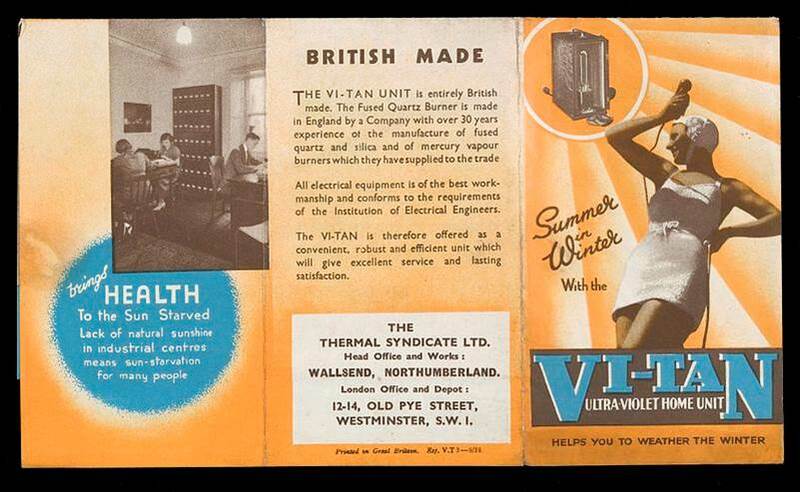 It has an incandescent bulb, a mercury vapor lamp, which emits light in the ultraviolet spectrum, which will of course provide vitamin D.
Brochure of the British-made Vi-Tan ultraviolet mercury vapor light therapy bath from the early 1900s. Dr. Ray Peat has said he uses a mercury vapor lamp to get his Vitamin D. He is from Oregon and spends a lot of time in Mexico as well at altitude. As you know in Oregon the sun doesn’t shine very much, especially in the winter, so that’s the way he gets his vitamin D.
I’ve experimented with a mercury vapor lamp myself. If you go to a pet store they usually have these lamps available for lizards. When you look at this brochure it makes it appear a joyous and relaxing experience, but in reality it’s unpleasant. When you’re out in the sun and you feel a slight tingle on your skin like you’re burning – that’s the ultraviolet portion of the spectrum. Conversely, red light is very relaxing. Most times I fall asleep during a 30-40 minute treatment. Although it may look incredible relaxing, mercury vapor lamps aren’t very comfortable to be in front of – and you have to shield your eyes from it too. Red light requires to eye protection. Since I’m from Canada, I’d imagine unless you eat a ton of liver and eggs that some form of supplementation – either in the form of light from a mercury vapor lamp or gel cap – is probably essential. In 1910, American medical doctor John Harvey Kellogg published a book called Light Therapeutics. Yes, the man who brought you your Raisin Bran and all sorts of other products was very interested in light therapy. In his book he documented his experiences healing people using incandescent light bulbs and arc lights. Light therapy is effective for treating diabetes, obesity, chronic fatigue, insomnia, baldness, cachexia and many other health problems, wrote Dr. Kellogg in his book. In 1904, two more influential volumes on light therapy were published. Light Energy by Margaret Cleaves and Elements of General Radiotherapy for Practitioners by Leopold Freund. All three books mentioned above can be found for free online. The reason I mention them was that it makes it clear that interest in the use of light therapeutics at the start of the 20th century was flourishing. There were many people interested in it and many people utilizing it in their everyday lives using some of the at home products we’ve discussed. Suddenly, in the decades that followed, interest in the medicinal effects of light faded and was replaced by modern surgical- and drug-based treatments. The Ruby Laser was the first laser ever constructed (1970). For those of you who are unaware LASER is actually an acronym standing for Light Amplification by Stimulated Emission of Radiation. The laser was invented in 1960 by American physicist Theodore H. Maiman, but it wasn’t until 1967 that Hungarian physician and surgeon Dr. Andre Mester that the laser had significant therapeutic value. The Ruby Laser was the first laser device ever constructed. In the following photo you’ll see a photo of the ruby laser – on the left is the laser’s pumping cavity disassembled and on the right assembled. Working at the Semelweiss University in Budapest, Dr. Mester accidentally discovered that low-level ruby laser light could regrow hair in mice. During an experiment in which he was attempting to replicate a previous study that found red light could shrink tumors in mice, Mester discovered that hair grew back faster on treated mice than on the untreated mice. 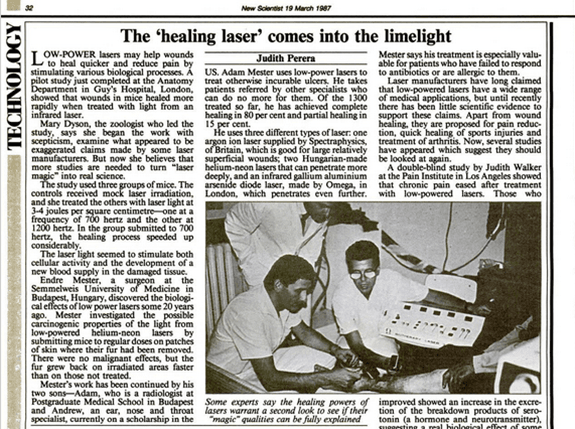 Dr. Mester also discovered that red laser light could accelerate the healing process of superficial wounds in mice. Following this discovery he founded The Laser Research Center at Semelweiss University, where he worked for the remainder of his life. Dr. Andre Mester’s son Adam Mester Treating ‘incurable’ ulcers with red lasers. Article from New Scientist (1987). Dr. Andre Mester’s son Adam Mester was reported in an article by New Scientist in 1987, some 20-years following his father’s discovery, to have been using lasers to treat ‘otherwise uncurable’ ulcers. “He takes patients referred by other specialists who could do no more for them,” the article reads. Of the 1300 treated so far, he has achieved complete healing in 80 percent and partial healing in 15 percent.” These are people who went to their doctor and were unable to be helped. All of a sudden they pay a visit to Adam Mester, and a full 80 percent of people were healed using red lasers. Interestingly, due to lack of understanding about how lasers impart their beneficial effects, many scientists and physicians at the time had attributed it to ‘magic.’ But today, we now know it’s not magic; we know exactly how it works. In North America, red light research didn’t begin to take hold until around the year 2000. Since then, publishing activity has grown almost exponentially, particularly in the most recent years. A quick search on PubMed of the various terms describing light therapy reveals over 50,000 published scientific and clinical studies. The following list is from January 2018. And indeed, it’s even higher now. For those of you who aren’t aware, PubMed is the US National Library of Medicine where most studies are arranged; like a search engine for scientific studies. It’s a valuable resource. 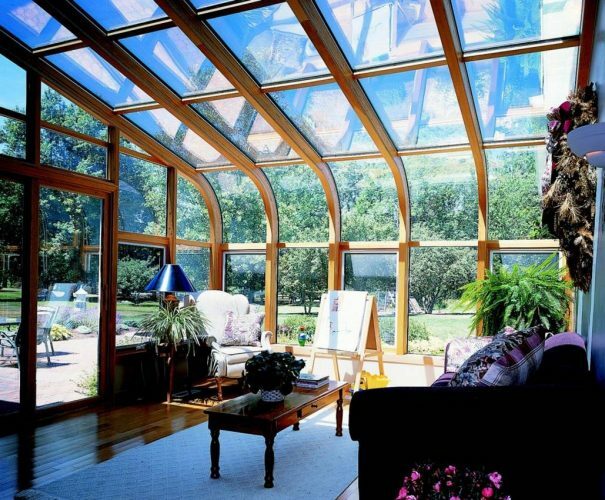 From the days of the ancient Egyptians, therapeutic red light was first discovered using solariums where they would filter out other wavelengths to get the pure red light from the sun by using tinted and colored glass. Small units using ultraviolet light were commonly used in the home in the early 20th century. It wasn’t until the 1960’s, after the laser was invented, that it was discovered red laser light had therapeutic value. It wasn’t until the year 2000 when red light research exploded in the west, and now we have over 50,000 published studies documenting the beneficial effects of red light as well as its safety profile. 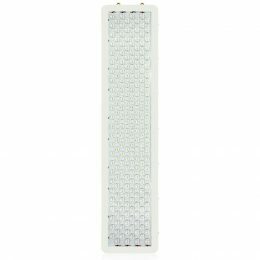 The studies indicate red light can assist in healing literally dozens of diseases and conditions and symptoms with zero reported side effects. If you like my work and like to support it, I’ve written and published three books that you can purchase. Also, I’ve got 3 custom red and near-infrared light therapy devices in my online store if you’d like to try it out for yourself. And if you’d just like to donate there’s also a link in the description as well. Thank you so much for watching, goodbye and God bless and we will see you in the next episode.